2013 went down in the books as another successful year for all AGMA activities and programs from education. These saw a significant increase in the number of attendees to its various offerings, to the well-attended 2013 Fall Technical Meeting and the largest GearExpo in the last 10 years in terms of increased numbers of exhibitors and visitors. 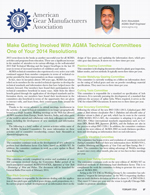 AGMA technical committees also experienced a very active year with continued support from member companies in terms of technical expertise provided by their representatives on those committees. In fact, since its inception almost 100 years ago, AGMA has always relied on its members for the needed technical expertise to develop the technical standards and information sheets that have helped move the industry forward. Our members have found their participation in the technical committees beneficial in many ways. 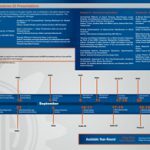 Aside from the direct benefit gained through the application of developed standards and information sheets, our members have found their involvement in the committees also beneficial in terms of the opportunity they are given to interact with, and learn from, their counterparts from around the industry. Thanks to the recent advances in virtual meetings, involvement in the activities of these technical committees is no longer geographically bound to a single location. Holding meetings on the Web has allowed AGMA members from Europe, South America, India, and other parts of the world to attend and collaborate with their colleagues on various issues, including the development of new standards and information sheets. 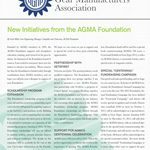 The following is a brief outline of current activities within some of the AGMA Technical Committees. For more information on these activities and or committee membership, contact Amir Aboutaleb at Aboutaleb@agma.org. The committee continues work on the development of new software to perform load distribution factor (Cm Solve) based on AGMA 927. In addition, the committee continues its work on a new update to Bevel Gear Rating Suite. This committee recently completed its review and resolution of over 360 comments received during the Committee Ballot period of its much-anticipated standard AGMA1010-FXX, Appearance of Gear Teeth –Terminology of Wear and Failure. The document will be launched for General Ballot First week of February 2014. This committee is responsible for documents dealing with the application of fine-pitch spur and helical gears (design, tooth proportions, etc.). Its current projects include development of an information sheet on the design of face gears, and updating the information sheet, which provides gear data formats. It meets two to three times per year. This committee is developing documents related to plastic gear inspection, failure modes, and test methods. It typically meets three times per year. This committee is currently working on a follow-on information sheet on the rating of helical gears and one on powder metallurgy material specifications. They meet two to three times per year. This committee is responsible for a standard on specification of hob tolerances. It is currently pursuing the development of a standard that addresses the accuracy of spline hobs. When required, it serves as the TAG for related ISO documents. It meets two to three times per year. Following the release of the new ISO 1328-1:2013, Cylindrical gears–ISO system of flank tolerance classification–Part 1: Definitions and allowable values of deviations relevant to flanks of gear teeth, which has its roots in the current ANSI/AGMA 2015-1-A01, the committee is adopting it in place of 2015-A01. Other international standards organizations such as German DIN, British BSI, Japanese (JGMA), and the Italians are also in the process to adopt ISO 1328-1. In addition, the committee continues work on the next edition of AGMA 2002 on tooth thickness specifications and developing an information sheet on rack tolerances. The committee has begun review and resolution of comments received during Committee Ballot of their new information sheet AGMA 919-1, Condition Monitoring and Diagnostics of Gear Units and Open Gearing: Part 1–Basics. The committee has been taking advantage of WebEx meetings to meet once every other month, plus one or two face-to-face meetings per year. The committee continues work on the next edition of AGMA 927 on analytical methods of determining load distribution factor. This is to compliment the work the committee is doing to generate the next version of AGMA 2001. Acting as the US TAG to Working Group 6, the committee has submitted a “request for interpretation” to the WG 6 requesting clarification on tooth thickness deviation as noted in clause 6.1 of ISO 6336-3. They meet 2-3 times per year, and the venue is typically Chicago/Milwaukee to promote attendance. This committee is currently working on the next revision of AGMA 929 and will be starting discussion on reaffirmation of ANSI/AGMA ISO 23509. It meets about three times per year. Acting as the US TAG to Working Group 14, the committee recently voted to APPROVE ISO/DIS 14104 “Gears – Surface Temper Etch Inspection after Grinding” with comments. In addition, the committee has started a new project to revise AGMA 923-B05, Metallurgical Specifications for Steel Gearing. The committee continues work on new revision of ANSI/AGMA 9005, Industrial Gear Lubrication. This committee is working on upgrading AGMA 6034 on wormgear rating to reflect advancements in materials and lubrication. They serve as the TAG to WG7, which recently published an ISO Technical Report on wormgear capacity, and is now developing a new document on the geometry of wormgear meshing. It meets about three times per year. This committee continues work on new revision AGMA 6013, Standard for Industrial Enclosed Gear Drives. Work continues within this committee on the next edition of AGMA 6123, Design Manual for Enclosed Epicyclic Gear Drives. Like almost all other AGMA Technical committees, this committee has been taking advantage of web-ex meetings to increase their meeting frequency. This committee continues on their many projects to update the series of standards we have on this subject. It meets twice per year. • Richard A. Calvert (Vice Chairman) – Chalmers & Kubeck, Inc.
• D.D. Behlke – Twin Disc, Inc. This committee has finished work on the new AGMA6011-JXX, Specifications for High Speed Helical Gear Units, and has submitted it for committee ballot / comment. This active committee is about to complete the development of an information sheet on the design of bevel gears for aerospace applications. • B. Arno – Xtek, Inc.
• R.A. Calvert – Chalmers & Kubeck, Inc.
• H. Johnson – Lufkin Industries, Inc.
• W. Weber – Siemens Industry, Inc.
6014 Subcommittee: The committee continues work on the next revision of ANSI/AGMA 6014-A06, Gear Power Rating for Cylindrical Shell and Trunnion Supported Equipment. This committee continues their discussion on AGMA 6002-CXX, Design Guide for Vehicle Spur and Vehicle Gears. They meet about three times per year, with eight to ten companies being represented. At their recent meeting, the committee, serving as the US Technical Advisory Group to the Joint Working Group of IEC TC88 and ISO TC60, voted to cast a ballot of DISAPPROVAL of the FDIS draft of IEC 61400-4 with comments as discussed at this meeting. Their meetings have been scheduled to complement those within the JWG, about 1-2 per year. The committee continues work on AGMA 945 information sheet on spline design and application. Over the past eight years AGMA has steadily added to its advanced gear engineering course offerings to create the AGMA Advanced Gear Engineering Academy. 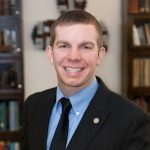 In that time more than 1,400 individuals have participated in those courses, with some completing at least five of the six courses offered, representing more than 100 classroom hours. 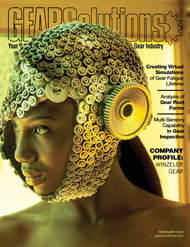 It is quite an achievement and demonstrates real dedication to continuing education in the gear industry. 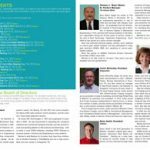 AGMA and the AGMA Education Advisory Council are pleased to recognize those who have accomplished this with an AGMA Advanced Gear Engineering Certificate. support so you can properly apply the best gear-bearing combination to any gearbox, whether simple or complex. Actual data based upon the presenter’s own gear design for the application and rolling element bearing experience will be presented. The presentation is illustrated with numerous photographs and many case study synopses are discussed to provide real world examples of both failures and preventative measures based on an understanding of the failures. The objective of this seminar is to provide a better understanding of various types of gears and bearings and educate the designer with the limitations and capabilities of rolling element bearings and the gears that they support, so that the designer can properly apply the best gear – bearing combination to any gearbox, whether simple or complex. 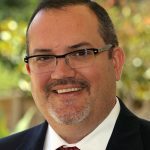 Raymond J. Drago, P.E., is Chief Engineer of Drive Systems Technology, Inc. (DST), a mechanical power transmission consulting organization that he founded in 1976. Ray worked for the Boeing Company – Helicopters Division until his retirement after 37 years of service. Currently he is involved in the analysis, design, manufacture, assembly, and testing of many gear systems. In his role with DST, Ray is active in all areas of mechanical power transmission, including the design and analysis of drive systems in a very diverse field of application from heart pumps to very large mining & mill gears. He has also prepared and delivered almost 200 seminars dealing with various aspects of gear design and analysis. Joseph W. Lenski, Jr. was a 40 year employee of Boeing Company, Rotocraft Division. His field of expertise is that of rolling element-bearing technology with extensive work in drive system design and lubricant development. Since 1973, he has served as Chief Bearing Specialist for Drive Systems Technology, Inc. This work has included bearing analysis, selection and life predictions; bearing failure investigations and discussion of various high technology bearing designs and concepts. This work has been done for various steel mill companies, gearbox manufacturers, oil producing facilities and mining companies. He has authored more than 42 technical reports and papers and has prepared a class manual on basic bearing design and bearing failure analysis. Gearbox CSI will be held at the Philadelphia Airport Sheraton Suites, convenient by car, plane, or train. A special rate of $129 per night (plus taxes) is offered until February 17, 2014. This rate includes complimentary round trip airport transportation and in room internet. A certificate will be awarded upon completion of the seminar. To register, visit www.agma.org.